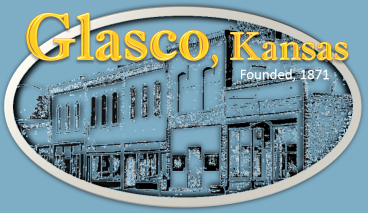 Glasco has an arts and activity program in June and July in the city park. During January and February, the Puppy Basketball Clinic is held at the school on Saturday mornings. After school classes for youth are included through Free University programming. The City Park, a block south of Main Street, offers a new shelter house and shade trees for picnics, a sparkling swimming pool, horse shoes, basketball court, tennis and a full playground. A wide variety of classes are offered each spring and fall; courses highlight the arts, health, and civic discussion. Classes are taught by community volunteers; there are no fees for participation. A 9-hole golf course, distinguished by sand greens, is open to the public. Located 1½ miles east of Glasco on Highway 24, this is a gem golfers shouldn't miss! The daily greens fee is only $5.00. Mother Goose reading program for kids and much more for adults. Lessons scheduled every summer. Season tickets available. Avid walkers enjoy a safe environment in Glasco, including the city park, for daily walking exercise. Inclement weather, the school gym is open for indoor walking.